Well, here’s something you don’t hear everyday. Now, it’s no secret that beating a hangover can be as simple as finding some greasy food, so 31-year-old Colin Ross knew exactly what he was craving in order to feel better. 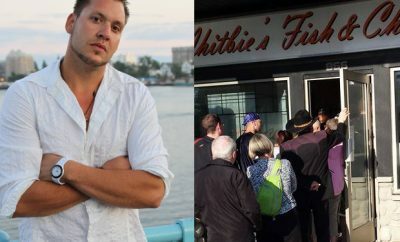 The Alberta, Canada native decided to step into local Whitbie’s Fish and Chips for some fried goodness. What occurred next sobered him up more than the food ever could. “So I ordered the halibut special for $24. Absolutely amazing. That’s traditional British fish and chips. Just what I needed. And the owner was a gem. Real classy, stand-up guy. So I ask everyone in Lethbridge to share this and go support this hard working gentlemen. He deserves it…; Thank you, Lethbridge! Show this man some support! That’s my good deed of the day. Have a great day!” Ross said on his post. That was a week ago. 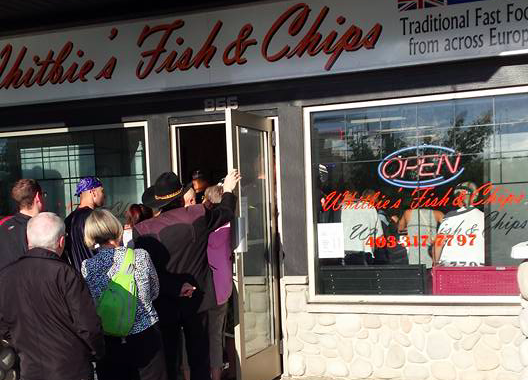 Since then, the post has been shared nearly 9,000 times, and now, Whitbie’s Fish and Chips has lines flowing out the door. The above image was just three days after Ross’ post went live. 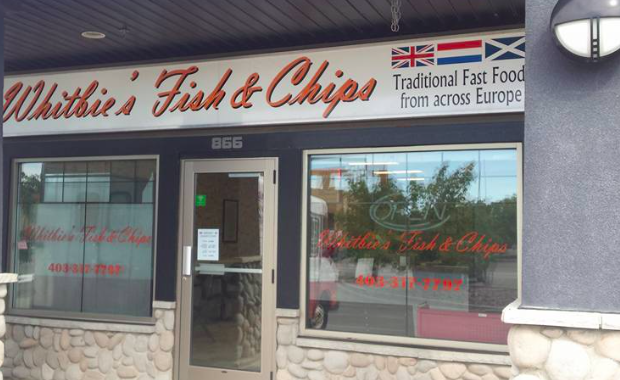 One person even commented on the post saying she’d flown from Dubai for the famous fish and chips, a 13,000 mile trip. Who knew that some headache-inducing drinking could ultimately wind up saving a business? All jokes aside, Colin Ross showed how the power of social media, of sharing and positivity, can change a person’s life forever.